Vancouver Branch - Queen's Grinds! 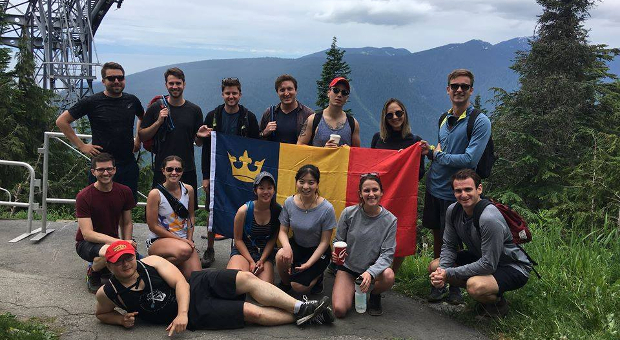 Join us at the trail head at 10 am for a hike up the notorious Grouse Grind. We'll meet for food and drink at the chalet at the top. Don't want to hike? Take the gondola up at 11 am to meet us at the top for food. Free event - Participants are responsible for purchase of their own food, drink, and gondola ticket. Please bring light hiking clothes and a water bottle. Are you receiving emails about alumni events and programs in your area? Update your contact information to ensure you hear about opportunities to connect with your Queen's network. Find information on your class reunion and how you can get involved in Homecoming. Queen's is more than a collection of bright minds—it is made up of people who want to learn, discover, think, and do. Learn about ways you can support Queen's.